Since December 2017, Australia's favourite holiday parks have been helping us transform the lives of sick kids, donating, hosting wish families and holding local Glow in the Park events to fundraise for wishes... $200,000 to December 2018, and counting! "Big4 Holiday Parks sees family, fun and connectedness at the heart of our values,” explained Steven Wright, Big4 CEO, when announcing the partnership. 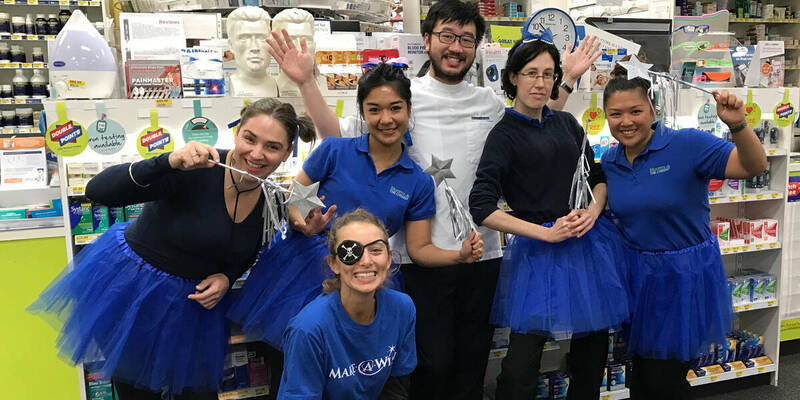 Blooms The Chemist donate a percentage of their retail profits each year, in addition to holding numerous fundraising campaigns and events to help drive customer awareness and support across their 86 stores. Since 2014, they've raised an incredible $515,000 which goes a long way to helping is make wishes come true. Thank you, Blooms The Chemist! 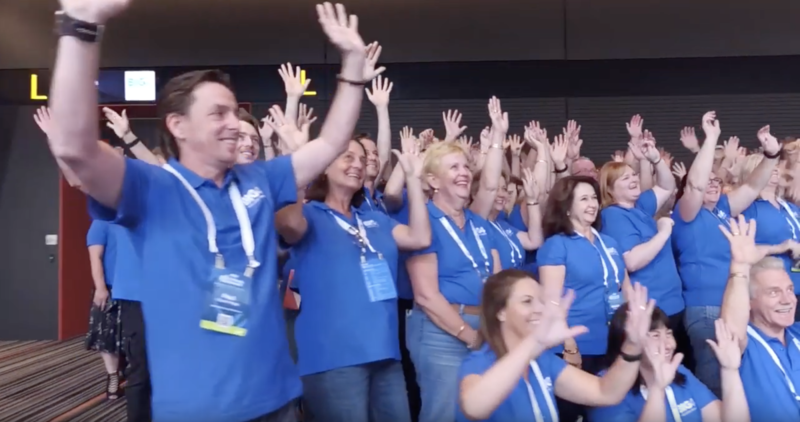 Contribution is one of the core values of Isagenix, a multi-level marketing company who has supported Make-A-Wish International to raise more than AUD $9 million since 2012! 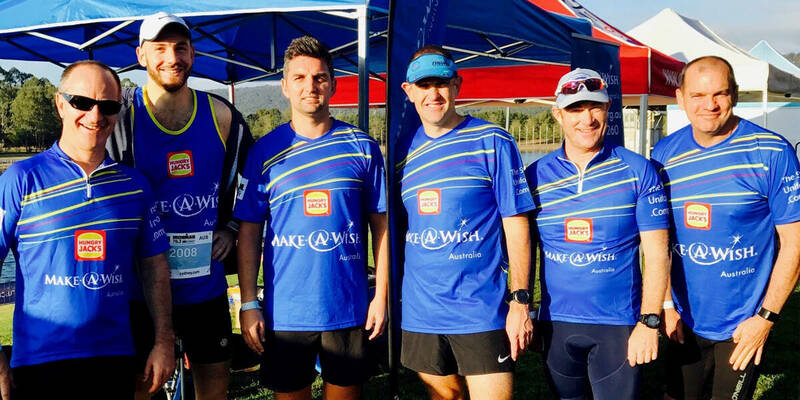 in 2014, Isagenix invited their Australian associates to donate a portion of their sales commission to Make-A-Wish, raising an incredible $350,000 through this and other activities. They continue to partner with us through annual fundraising campaigns, events and product sales that help make wishes come true. Thanks, Isagenix. Hungry Jacks helps us grant a wish every week (!) through the generous support of their Crew, Managers, Franchisees, Head Office staff and customers. With point of sale promotions and collection tins at more than 400 restaurants nationally, Hungry Jacks was our official partner for World Wish Day in 2018, and also launched special co-branded jerseys for Hungry Jack's NBL charity round in January 2019. You can see a video highlighting some of the many wishes Hungry Jack’s have supported on their website here. 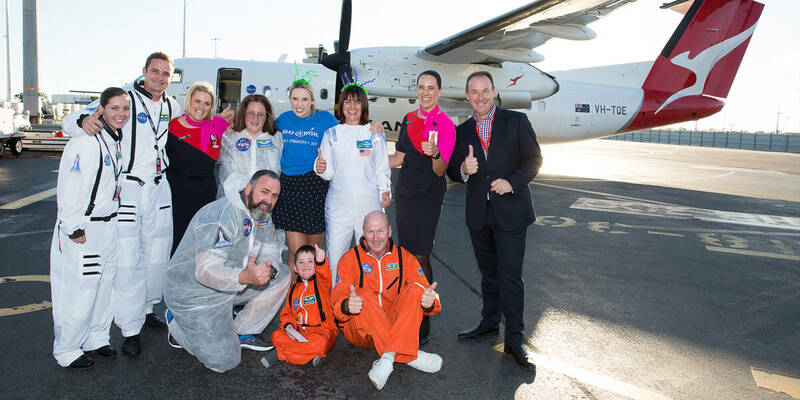 Make-A-Wish Australia is thrilled to have Qantas as our official airline partner. They've helped to create some unforgettable wishes including Dwayne's trip to the moon. Merlin Entertainment is the world's second-biggest attraction group (after Disney), and the largest owner of major attractions for visitors - and kids! - in Australia. Think LegoLand, Sea Life Aquariums, Madame Tussauds, etc. Our partnership enables wish children and their families to visit world-renowned wax figures, ski fields, world-class aquariums, a collection of the best Aussie animals, the highest and best view of Sydney, and treetop walks and ziplines through amazing rainforests, to name just a few. Thanks, Merlin! oOh! 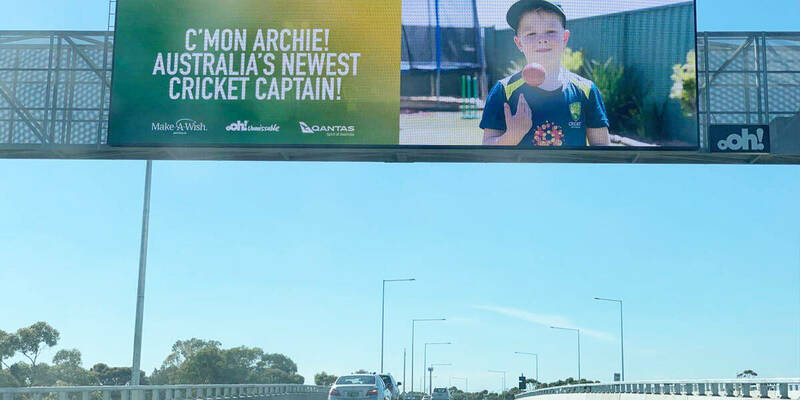 is Australia and New Zealand’s leading 'out of home' advertising provider, with more than 30,000 locations across roadside, retail, airports, office towers, cafes, bars, university and online platforms. Thanks to oOh! 's unmissable media support, we're able to reach more Australians with wish appeals and promotions to raise awareness (like World Wish Day) appearing across bus and tram stops, airports and shopping malls all over the country. Oh, thanks!